Mr. Giacovas is a partner in the Firm’s commercial litigation group and concentrates his practice in securities and complex commercial litigation and arbitration. Mr. Giacovas regularly counsels and guides firms and their employees in responding to investigations and regulatory matters before the U.S. Securities & Exchange Commission, U.S. Commodity Futures Trading Commission and Financial Industry Regulatory Authority. 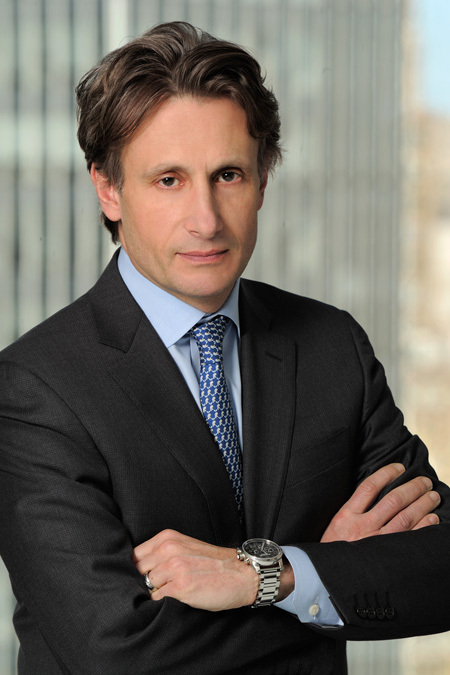 He has tried matters before federal and state courts throughout the country and served as lead counsel in arbitration disputes before FINRA, JAMS and the American Arbitration Association. Mr. Giacovas also represents a roster of international clients across a broad spectrum of industries and has successfully tried to completion multiple arbitration matters before the International Chamber of Commerce. Through decades of litigating a myriad of complex commercial matters, Mr. Giacovas has successfully bridged the gap between commercial litigator and transactional lawyer, particularly in the area of employment. His employment work regularly includes negotiating employment and separation agreements for companies and individuals and counseling on the movement of teams between firms. Mr. Giacovas has litigated both from the employer and employee side of all manner of employment disputes, including restrictive covenants, breaches of fiduciary duty and loyalty, raiding claims and all forms of executive compensation. Mr. Giacovas has an AV rating by his peers and has been selected for his professional achievements on the New York Super Lawyer list since 2013. In re Tremont Securities Law, State Law and Insurance Litigation. (counsel to former CEO of the second largest feeder fund in BLMS in numerous federal and state class actions and represented client in testimony before the U.S. Securities and Exchange Commission and numerous state regulators). ISMT Ltd. v Fremak Industries, Inc. (counsel to claimant international steel manufacturer in ICC arbitration and obtained award which included all attorneys’ fees and cost). Shayam Aces (India) Private Ltd. v. Lockheed Martin Global Telecommunications Inc. (counsel to claimant telecommunications firm in ICC arbitration that was resolved after filing of the statement of claim). InterVax Biological Limited v. Institute of Immunology (counsel to respondent drug manufacturer in ICC arbitration claim and successfully defended claim seeking lost profits due to withdrawal of World Health Organization certification of vaccine). Sheroff v. Dreyfus Corporation (counsel to defendant financial service company and obtained summary dismissal of complaint alleging fraud and breach of fiduciary duty). TAAL Technologies Inc., USA and TAAL Tech India Pvt. Ltd. v. Precision Boilers, LLC (counsel to claimant information technologies firm in arbitration resolved after filing of statement of claim). Banco de Brasil v. Government of Antigua and Barbuda. (counsel to plaintiff bank which successfully recovered on defaulted $17 million loan to Government in litigation). Brown v. Lower Brule Community Development Enterprise LLC (counsel to defendant financial service company wholly owned by Native American Tribe and obtained summary judgement in Southern District, affirmed by the Second Circuit, dismissing securities fraud suit). Weinheimer v Lower Brule Community Development Enterprise LLC (counsel to defendant financial service company wholly owned by Native American Tribe and obtained summary dismissal in New York Supreme Court of suit seeking recovery for fraudulent conveyance). United States Congress, Permanent Subcommittee on Investigations. (counsel to manager of financial services firm in investigation of alleged abuse of structured transactions related to basket options). Owens v. Gaffkin & Barriger Fund et al. (counsel to plaintiff investor in securities fraud claim against a registered fund and broker-dealer which resulted in both a FINRA award and a multi-million dollar jury verdict against other defendants in the Southern District of New York). Medifast, Inc. v. Minkow et al. (counsel to public company in ongoing commercial litigation against co-conspirators in short selling scheme which resulted in the shuttering of offending website). Counsel to numerous public and private companies and their officers in SEC investigations involving securities fraud, accounting and earning restatements. Counsel to large broker-dealers in FINRA arbitrations.